Space heaters can deliver powerful and instant heat right where you need it. Typical sites where these heaters can be found are workshops, garages, construction sites and farms. Other common uses are places with lower air temperatures outdoors. 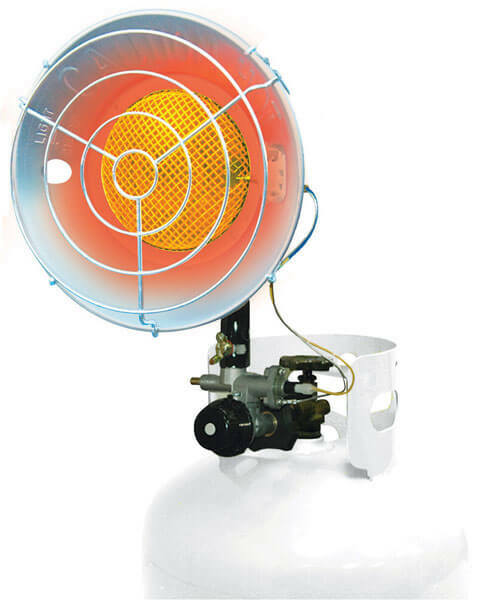 The convenience of these portable space heaters is their portability and ease of operation. Always remember to use these units in well ventilated areas. Many options are available for various fuel options. Propane forced air heaters are clean burning and efficient for many work areas. 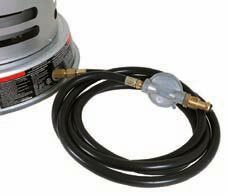 Propane convection heaters for quiet heating in 360 degrees, great for drywall and masonry work. 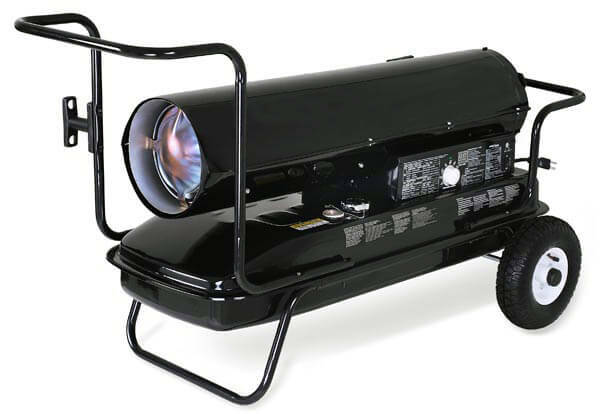 Propane radiant heater for outdoor use like construction sites or farms. 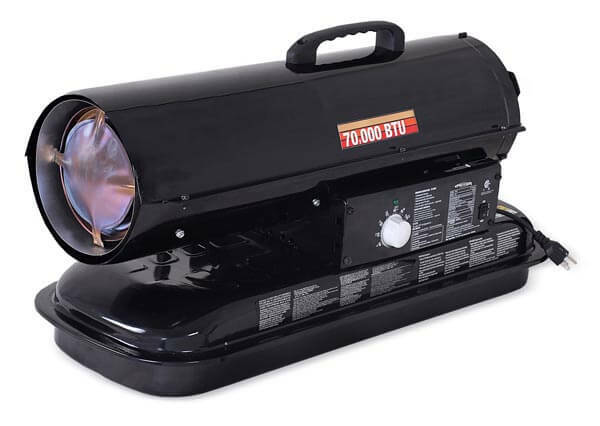 Propane patio heater for use in cooler seasons outdoors. The patio heaters have a 210 foot radius of heat. 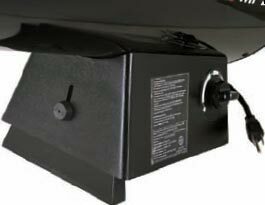 Kerosene space heaters deliver between 70,000 and 400,000 BTU for a wide range of commercial, industrial, or agricultural applications. Kerosene radiant heaters maximize output for a natural and soothing warmth that keeps you comfortable even with lower air temperatures. These portable space heaters are good choices for most outdoor applications. 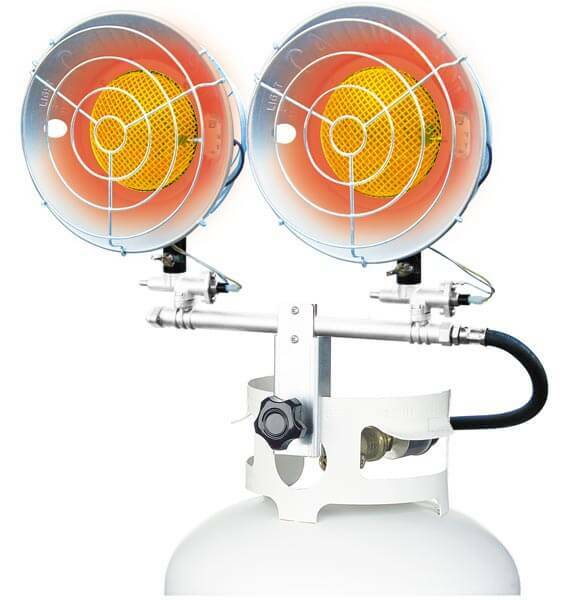 A simple solution also for outdoor heating needs is our radiant tank top heaters. They attach directly to a propane cylinder and heat directly like the sun. No electricity is required making these the most convenient form of propane radiant heat. Most units carry a 1 year warranty and have been certified to CSA standards. Hand carry and portable design provide powerful and instant heat that is safe and economical. Ideal for use in workshops, garages, construction sites and farms. These hand carry models feature enclosed gas controls and heavy duty steel construction. Ready to use - just connect the propane cylinder and plug in. MT-MH-0150-LM10 unit is sold out for this season. Will be available for next Fall season. 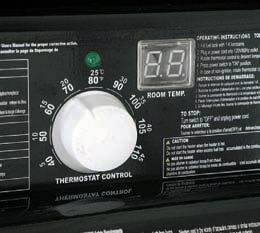 * Asterisk indicates model includes thermostat. 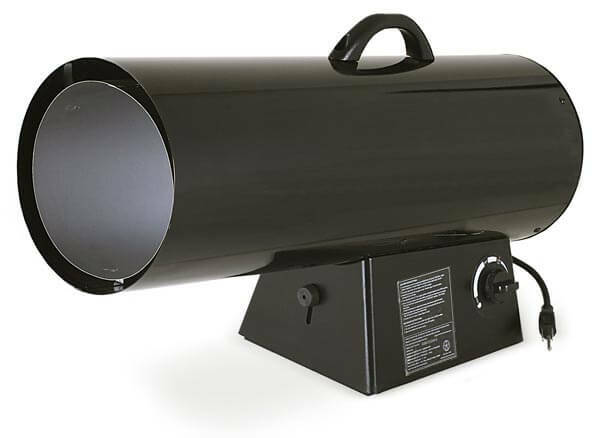 Portable space heaters shown below are industrial duty with a durable 2 piece burn chamber. Powerful instant heat with no electricity required. 360 Degree Heating Radius for even heating of room. Inner windshield protects burner from being extinguished. 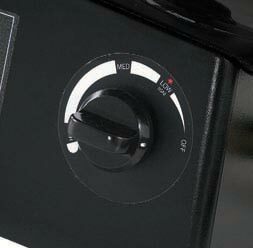 MT-MH-0200-CM10 50-200,000 BTU 4,600 sq ft Push Button 14 lbs 16”x16”x27” Out of stock! For convenient, versatile radiant heat choose from these innovative designs. 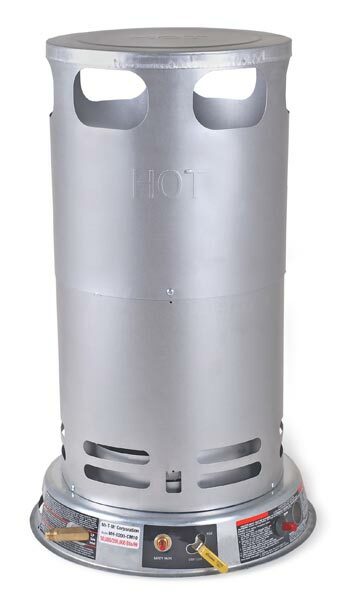 Propane tank top portable space heaters are great for outdoor use like construction sites or farms. Just connect to a standard 20 Lb propane cylinder for up to 48 hours of heating. Perfect for patios, decks, or any outdoor areas like restaurants. Quiet and clean instant heat with no electricity required. 360 Degree Heating Radius for even heating of area. Inner windshield protects burner from being extinguished. During winter season we require to use equipment and other tools to clean, remove or maintain your home or work environment. Keep it safe with snow throwers & safety accessories; keep your winter products well maintained with the right tools; keep yourself warm with space heaters; keep temperatures in control with use of air cooled water chiller or with insulated vinyl curtain.